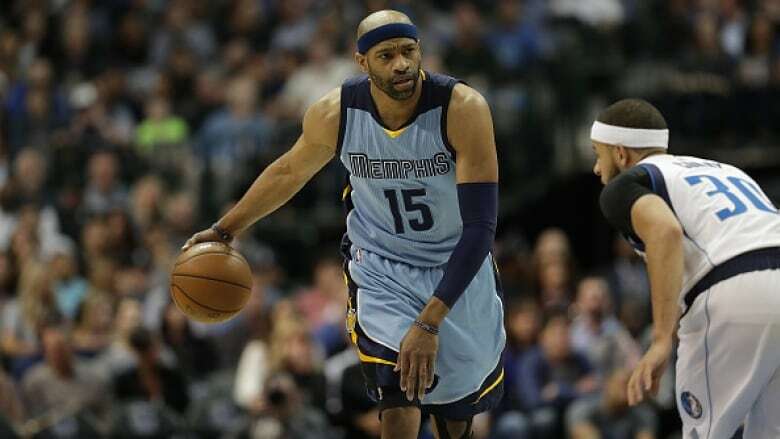 The Sacramento Kings have signed guard Vince Carter to a one-year $8 million US deal, the team announced Monday. Carter, who entered the league with the Toronto Raptors in 1998, is joining his seventh team. He played the last three seasons in Memphis, where he averaged eight points and 1.8 assists per game last season. The 40-year-old Carter ranks 27th all-time in points scored (24,555), fifth in 3-pointers (2,049) and 13th in games played (1,347). Carter set records for a player 40 and over last season, passing Michael Jordan as the oldest to score 20 points off the bench at 39 years and 287 days against Denver on Nov. 8, only to surpass the mark six days later with 20 points at Utah.